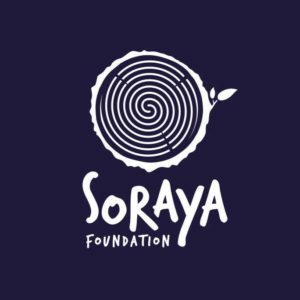 Soraya Foundation is a private, non-profit organization located in Gili Air, an hour drive from the city central of Mataram and another 15 minutes of local boat trip to reach the island. Soraya Foundation is nested in a well-known beautiful white sand island where cars and motorcycles are banned, the local community is joyous, and kids can roam around the island freely. Our mission as a foundation is to provide education for the people, and the future generations of Gili Air, inspire and ignite the spirit of the community with the love of sharing, learning, and life. Through this, the island will thrive as a united community where humble nature and innovation flourish. Welcome to our digital page, we hope you will enjoy your exploration here as much as you will enjoy your exploration of our Island. Take a little time to look at all that we are able to share with you here. Being a non-profit/ non-governmental organisation, generating funds and organising educational and environmental projects for Gili Air. Our focus is on three main areas, which are education, environment and protecting marine resources. By creating an education centre, we provide a space for children & adults for development, learning and improving their skills. The education centre will consist of a Montessori School called Gili Playground for children from age 3 and an Evening School for adults. Our main fund generating services will be the Montessori School & Daycare, which allow us in a next step to organise free classes at the public school of Gili Air and evening classes for adults. In close cooperation with the public school of Gili Air we can therefore arrange tailor made programs that cover the needs of the island. Tourism is growing very fast on this little island and qualified employees are needed more than ever before. By creating a space and the opportunity to learn, people can acquire more knowledge and skills, so they are able to find better jobs in the future. In addition we are in the process of creating a Social Program that takes care of the children of Gili Air outside of their schooltime, where we will organise different workshops like Circus, Movement, Language and Tourism. With our Education Center we want encourage the local people to learn and grow and also show them that we care about their personal growth! We make education easy accessible and give the opportunity to study, acquire new skills and grow personally. Furthermore we integrate everyone into our environmental projects and build a responsible community. An individual is dramatically influenced by their support system. We want to create a centre of education where we motivate and encourage people to believe in themselves and their qualities. The focus of our work at Soraya Foundation is to provide Education. We want to encourage the local comunity to gain new qualities and further being more competent to carry out higher job positions in the tourism sector. Our environmental projects have the final outcome to make Gili Air an eco-island, by improving our garbage system, protecting the reef and support ongoing environmental projects and companies. We are the first child-oriented organization on Gili Air that combines local and western needs and generates funds for social and environmental projects by offering different services. We will be the first Daycare and Babysitter Service on the island. With our concept we will attract western families with small children, that either live on the island or are here on holiday, and are looking for activities and education for their kids.